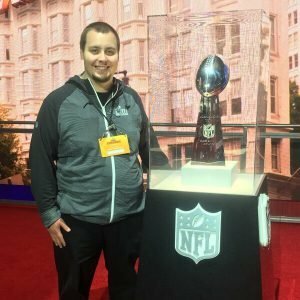 While the game between the New England Patriots and Los Angeles Rams was low-scoring, 23 Concordia University Ann Arbor and Wisconsin students were scoring big off the field. 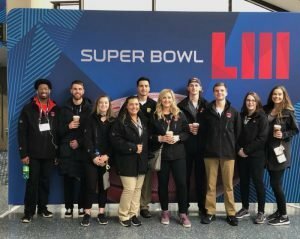 Concordia has given students immersive industry experiences at dozens of major sporting events in the past, including the Super Bowl, but this time Concordia students were given more responsibility than ever before. 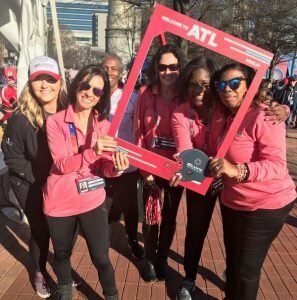 They managed large teams of volunteers known on the ground as ‘teammates’, assisted with live events and activations, and even were held responsible for the Vince Lombardi Trophy within one of the fan experience zones. 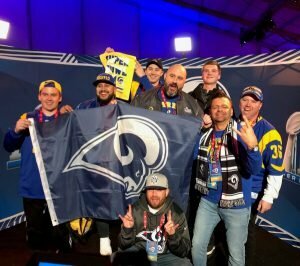 Konkel particularly enjoyed connecting and networking with members of the Los Angeles Rams organization, getting to know them personally over the course of the two weeks and learning more about their experience in the world of sport business. Klein says there are many intricate details that play a part in an event like this. The Concordia group alone spent the weeks leading up to the Super Bowl Sunday in training, load-ins, set up and assisting with events across the city at all hours of the day—all for one sporting event. 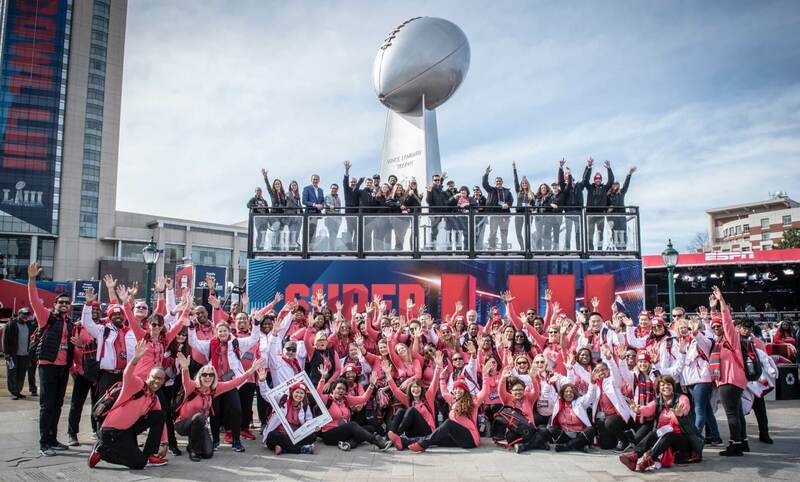 Industry partners to Concordia’s sport and entertainment business (SEB) and hospitality and event business (HEB) programs include On Location Experiences (OLE), formerly known as NFL On Location now including PrimeSport and Kreate Inc. The OLE partners connect Concordia’s business students to immersive industry experiences, like this one, that will prepare them for future careers in the sport, hospitality, and entertainment professions. Both the SEB and HEB programs are booming within CUAA’s Haab School of Business, making up nearly 35% of students within the academic school. The success of these programs is attributed to advisory board guidance and strategy, dedicated faculty on both Concordia University’s Ann Arbor and Wisconsin campuses, and strong relationships with industry professionals, like OLE. Led by its Christ-centered values, the Haab School of Business believes that the best business leaders demonstrate both uncompromising compassion and unmatched competitive skill. Because of this, the curriculum and internships are preparing students to lead beyond the norm, igniting transformative change in themselves, their organizations, and society.